skinProtec Hand Sanitizers come in fun and quirky forms. The hand sanitizing gel with rubber holder is perfect for those looking for convenient sanitation. The hand sanitizing foam is for those who are looking for something new and unique. 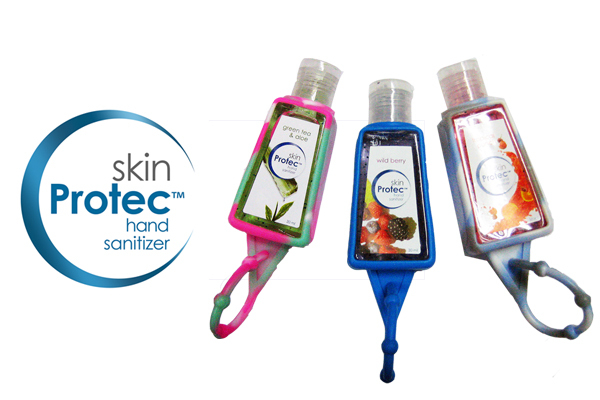 sKinProtec Hand Sanitizing Gel comes in Wild Berry, Pink Lemonade, and Green Tea & Aloe. 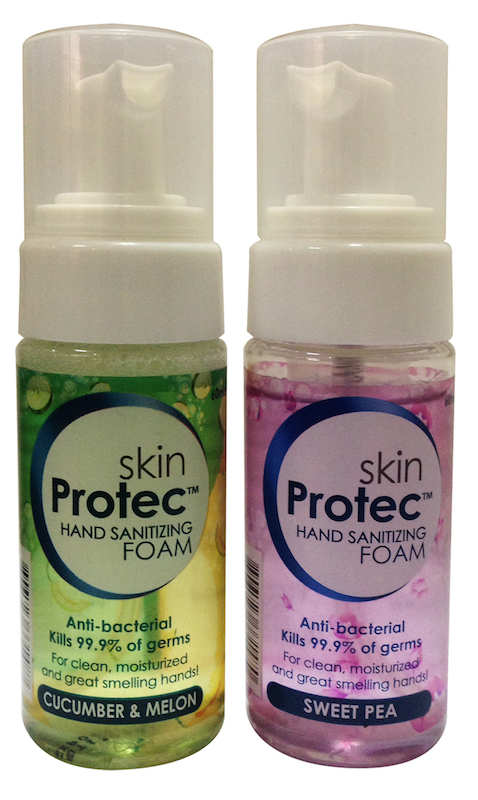 sKinProtec Hand Sanitizing Foam comes in Cucumber Melon and Sweet Pea.